In honor of Halloween, I thought I would treat my faithful readers to some scary images. 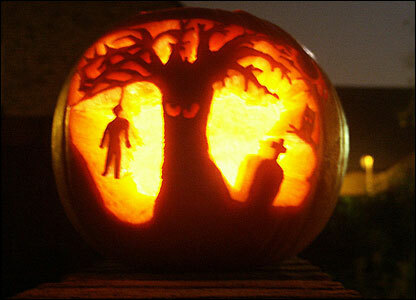 I was impressed by this carved pumpkin featured on BBC.co.uk. 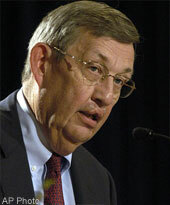 On a more sinister note, here’s a photo of Lee R. Raymond, CEO of ExxonMobil. A true face of evil, Raymond is not going to invest any of its record $10 billion third quarter profit in developing alternative energy. Be afraid, be very afraid. And don’t buy your gas at Exxon.